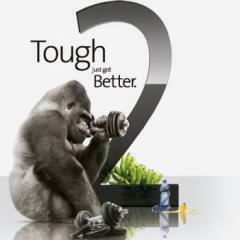 Coring will have Gorilla Glass 2 on show starting tomorrow and we’ll have a hands video of its strength. The company also took the time to announce that the original Gorilla Glass is used by more than “30 major brands and designed into more than 575 product models, spanning more than 500 million units worldwide”… which raked in $700 million sales last year. Full press release after the break. CORNING, N.Y., January 9, 2012 — Corning Incorporated (NYSE: GLW) introduces Corning® Gorilla® Glass 2, the next generation of the company’s widely accepted, damage-resistant cover glass for consumer electronic devices, at the International Consumer Electronics Show in Las Vegas this week. The outstanding performance benefits of this new glass will be showcased through live demonstrations in the Corning booth, #12642 Central Hall, during show hours tomorrow, Jan. 10, through Friday, Jan. 13.